The trust of members is essential to the sustainability of e-business. Unlike other business models, the success of online social networks is highly dependent upon the growth rate of social network size. In order to accelerate and continue the growth rate, online social networks need to be able to continuously roll out diversified services and use them to interest existing and new members. However, the nature of this business model can expose online social networks to ubiquitous security threats such as spam, viral marketing and viruses. In order to convince users to adopt social network services, cultivation of brand equity and trust in the online social networks is essential. This study integrates technical and marketing perspectives to examine the potential influence of website quality and brand equity on user satisfaction, thereby influencing users’ formation of trust. A survey was conducted with 385 subjects to understand the causal relationships between the studied constructs. Regression analysis indicates that website quality, brand loyalty, brand association, and brand quality have a positive influence on user satisfaction, thereby increasing the trust of members in online social networks. Brand awareness shows no significant influence on user satisfaction. 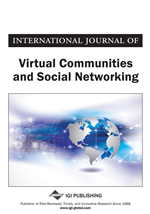 These findings lead us to derive theoretical and practical implications on the sustainable operation of online social networks. Although social media are proliferating, they are not displacing traditional media. Users’ decisions on media use depend on whether the media can satisfy their motives and needs (Kink & Hess, 2008). Social media need to compete with other media for users’ attention. Creating the expectation that the chosen media will provide gratifying experiences to users could be an effective approach to get users’ attention. Use and Gratification theory asserts that gratifications sought (GS) and gratifications obtained (GO) can contribute to the intention of a user’s continued use of products and services. GS focus on the expectancy value of media, whereas the focus of GO is on the actual value (Palmgreen & Rayburn, 1982). GS are the expectancy/belief that a medium possesses certain attributes that can satisfy user’s motives and needs. GO are the evaluation of these attributes after using the chosen medium. The chance of using social media is higher if users have a higher GS. This study aims to investigate the building of user trust in social media via the improvement of GS.